I spent this past week at Mackay Medical College in Taipei, Taiwan serving as a Teaching Assistant at their Medical Student Cultural Exchange (MSCE) Summer Camp. Everyday we would have a variety of events and programming for us to interact in and get to know each other as well as important things from other cultures. Some of the topics we talked about included American college life, Taiwanese and American cultures and traditions, Taiwanese folk toys, American holidays, etc. We also had discussions about the presentations and profound, deep discussions on our religious and ethical issues. I even had an acupuncture demonstration done on me in our Traditional Chinese Medicine lecture and discussion. I personally spoke on Fraternity and Sorority Life in American universities and taught the Taiwanese students how to country two-step. They really enjoyed the talk and dancing, since these two topics were completely new to them. Each of the six groups had to present a skit on the last day of the summer camp and they all had a dancing scene. What was funny was that all of the groups used their newly learned two-stepping moves on stage. Here is an example of the schedule for a day in our camp. However, the schedule was not much help as we were often running late from event to event. During the second week of MSCE, I went down south to Chia-yi and participated in a service internship at Chia-yi Christian Hospital. There, I served the completely non-profit healthcare organization that included an enormous 1,000 bed hospital with dozens of smaller clinics. These clinics were of all different purposes such as a senior center that was located in rural areas of Chia-yi county. The elderly would go there every other day (Monday, Wednesday, Friday) and every time, the staff would take their vital signs. This stood out to be incredibly ingenious as both the hospital and community benefited from it. The hospital cut down expenses while the community was able to stay healthy and longer through preventative measures. I also went to minister to patients and their families in the hospital wards and patient rooms, encouraging patient education and sharing the gospel when appropriate. Christian doctors at the hospital shared many stories of personal experiences with miracles and healing of patients.We also visited a museum in nearby Tainan involving black foot disease 黑脚病 and special clinics for those who are mentally disabled and handicapped. Many of these programs and special clinics that we see quite often in the US are rather rare in Taiwan outside of the larger cities. Even if there are these services available, they are definitely not as affluent or as able to support like those clinics in the US. For example, it was extremely heartbreaking, after having spent an afternoon with mentally disabled children, to hear that their clinic was incomplete with few staff and an extremely high student-to-teacher ratio. Overall, this trip was an extremely profound experience. It was an extremely fulfilling and great experience leading the discussions in both English and Mandarin, connecting with people of my heritage and my homeland on a level that I had never experienced before. 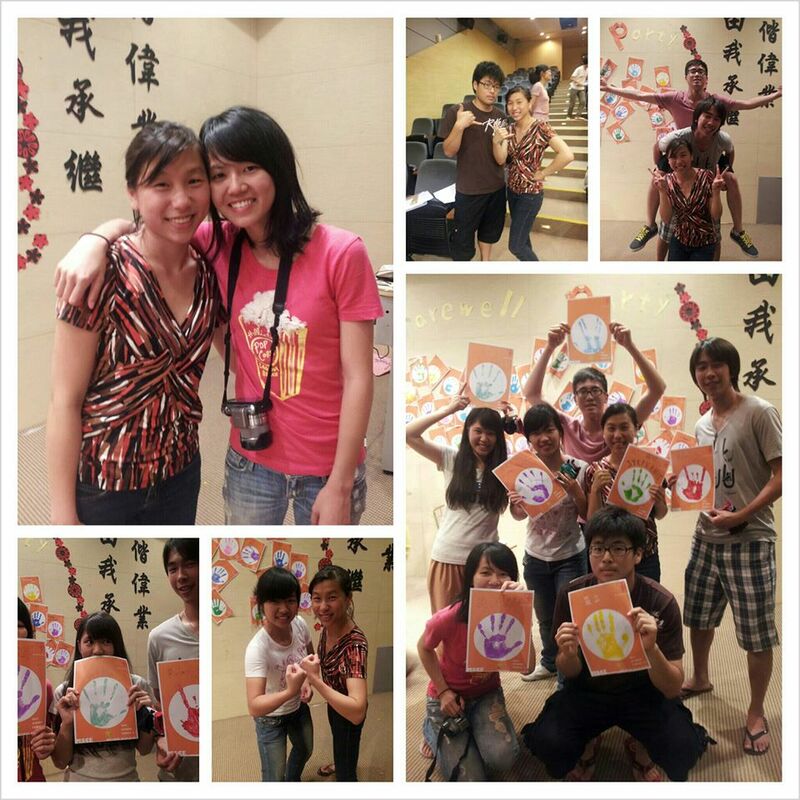 During this camp, God seized and took ahold of my heart through Taiwan unlike anything before. Taiwan truly feels like my homeland and somewhere I belong. I connected on many different levels with the Taiwanese students/people like never before, because of my faith, views, career aspirations and other interests. I don’t have a clear view for my future right now but I am imagining possibly a future that includes involvement in both Taiwan and the US. This may include practicing as a physician but I am not sure yet. What I do know is I have a calling to serve both communities. The past two weeks in Taiwan has been an incredible experience. There are many events that I can recount, but I will focus specifically on my experience befriending the Taiwanese students. Before this past year, my travels to Taiwan were full of confusion and boredom. I would accompany my parents to visit relatives who I had no interest in and with whom I could not communicate well. I was frustrated that I could not speak Taiwanese or Chinese fluently and resolved to my role as a bystander. After a seven-year gap, I returned to visit Taiwan in December of 2014. I was not expecting to enjoy my trip, but surprisingly, I found it difficult to leave when it was time to return to America. Spending time with my grandparents and cousins was meaningful and provided opportunity for me to learn and practice Chinese. I loved the good food, kind people, and rich history of Taiwan. When the opportunity arose for me to go back to Taiwan the following summer of 2015, I jumped at the chance. Talking to the Taiwanese students began a little awkwardly and with broken language on both sides. They brushed up on their English, and I pulled out my rusty Chinese. Many of them were shy, but after a week of spending constant time together, we became more comfortable with each other. I saw how sweet and sincere they were in their friendship. My roommate would wait for me to come back to the room at night so we could talk. It was hard for her to speak in English, but I could see that she would try her best so that we could have meaningful conversation. One night, she said that she was surprised we could talk about deep topics so readily since Taiwanese usually avoid talking about personal life struggles unless they are really close. Other students had shared similar sentiments with me throughout the week. One girl told me that she felt that there was something missing from her life and that she was not sure what could fill this hole in her heart. I saw that these students desire deep relationship with the people around them. My heart hurts for them, and I pray that these students can find satisfaction and intimacy. My hope is that they can eventually find this in a relationship with God, but my prayer for now is that they will continue to question and search. 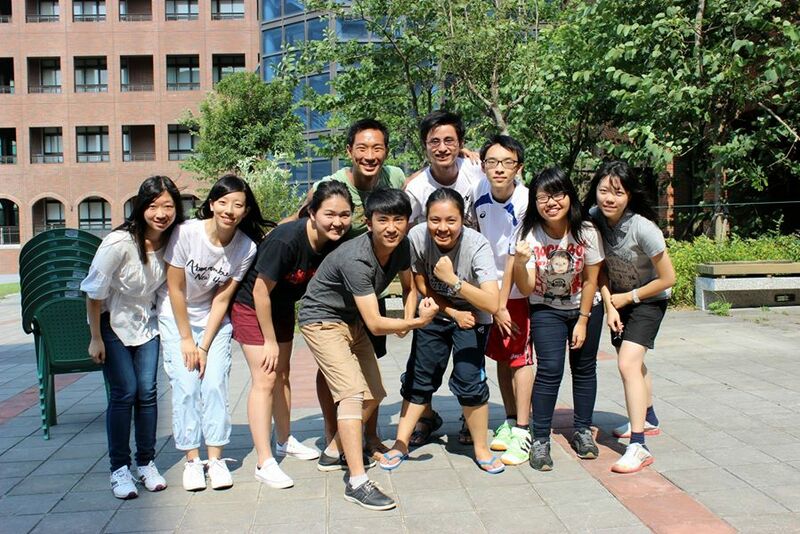 Also, three of the MSCE students surprised us in Chia-Yi for our second week! I was so touched by their friendship and desire to spend more time with us. During the first week, it was about a 4:1 student to TA ratio, and during the second week, that ratio was reversed. 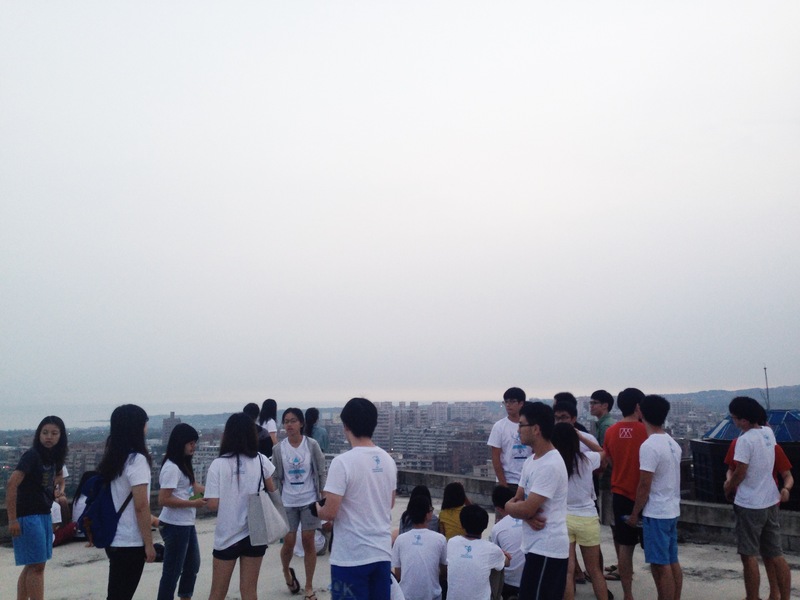 I was surprised that they even came to serve with us for all the days they stayed in Chia-Yi. 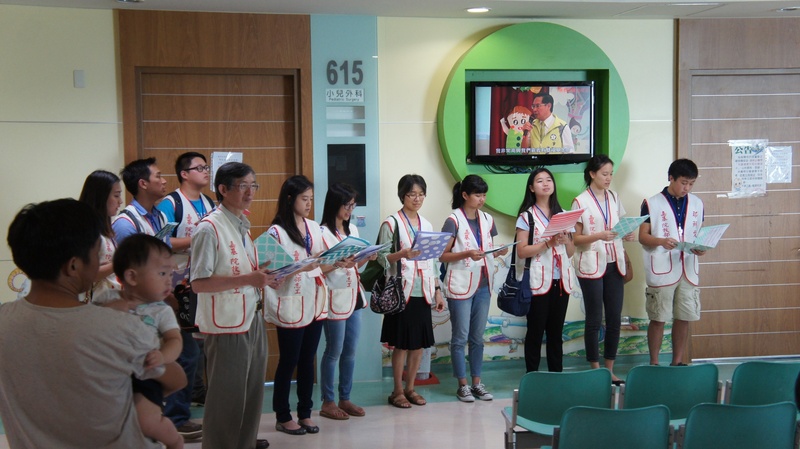 They sang songs at the centers, listened to the TAs share their testimonies, and came to the Chia-Yi Christian Hospital’s Fellowship meeting. They stayed for extra days longer than they were planning. I was touched when one of them shared during the farewell party about how he had learned a lot about Christianity that week and that he was amazed at the positive values that Christians live by. We were all able to grow closer to these funny, fun-loving guys who are genuine in their friendship and care. What a fun and blessed time! After these two weeks, I feel an even stronger tie to Taiwan that I did not have before this year. I have relatives in Taiwan, and I now have good friends there as well. These are people who I love. 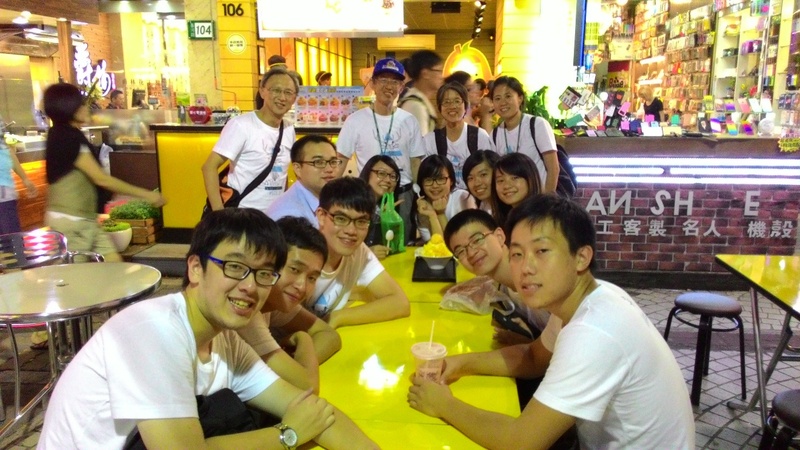 I pray that God continues His work in them and uses them to impact the country of Taiwan as a whole. MSCE, Medical Students Cultural Exchange. What an exchange it was. This trip was such a blessing to me; a blessing to bless and a blessing to be blessed. 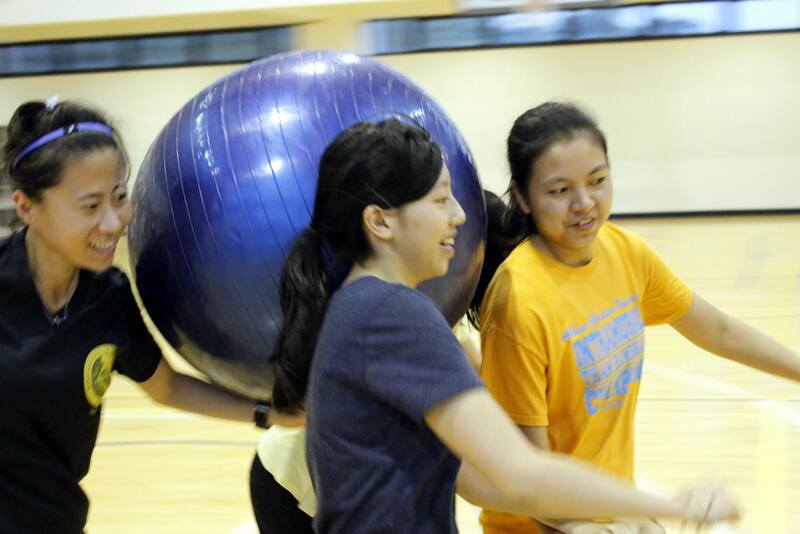 For one week at Mackay Medical College, American and Taiwanese students gathered together to learn about each other, play silly games, eat great food, and come away with a greater understanding of another’s respective countries, histories, philosophies and personalities. I am thankful to have come away with a greater appreciation for my Taiwanese heritage – its language, its history, its culture, and its people. I enjoyed learning so many things about Taiwan throughout this trip – from things like the resurgence of glove puppetry as an entertainment art form, to the normal lives of millions of students who spend countless hours after school in more “school” (cram school), to its unique place in the world as a small island with really nice people, great food, and sauna-like weather in the summer. I also was inspired by the Christian missionary with whom the college was named after. After visiting a Presbyterian church that the Canadian missionary George L. Mackay planted, hearing about his passion and love for Taiwan at his museum, and seeing the great blessing that he was to Taiwan by enacting important social reforms for his time (such as establishing the first schools for women in the country). I am so inspired by his love for people that is so evident when seeing the fruits of his life even many years later. I was also inspired by many of my teammates who served alongside me on the trip. Many of them were incredibly smart and talented and living lives to really do good things in this world, but most importantly I was challenged and moved to tears by some of the testimonies that they shared of their faith. I’ve been to church before, but I was touched by the openness and honesty with which they shared their lives with each other and the students. Finally, as I have been back in the United States for just over a week now, I can truly say that I’ve left a part of my heart in Taiwan. I’m thankful for the friends and relationships that I’ve made and hope to go back again someday. I was the only Thai TA in this camp. Coming to this camp I had no idea what to expect. I had heard about the camp from the pastor at my church, but I did not know anything until I made some connection with people who ran the camp. This was my first time in Taiwan and I had no idea what it would be like. I did not speak any Chinese and I only had been to the United States for two years, so my English was not that great either. However, God led me through this awesome experience. Before the camp, I had been talking with the advisor of the camp and some fellow American TAs friends. We were preparing and getting ready for the camp. I think the talks helped me to be prepared and ready for the actual camp. I learned more about my role at the camp and what to expect once at the camp. I learned that at this camp we are not only exchanging Taiwanese and American cultures, but sharing the love of God with the Taiwanese students. I was glad to be a part of that. At the camp, I met the American TAs who became my good friends. We all came from different backgrounds, but we all were one in Christ and one heart to serve at the camp. I learned a lot from my fellow TAs friends. I enjoyed spending time talking and working with them. I saw that each and every one of us has a unique personality, and those are like our gifts to serve God in different areas. I loved hearing the testimonies from the TAs that were given during the morning manna. I felt like I learned more about how God works in our lives and how we can use our stories to share the love of Christ with others. The students at the camp were so friendly and kind. They taught me so much about Taiwanese culture through all the presentations. 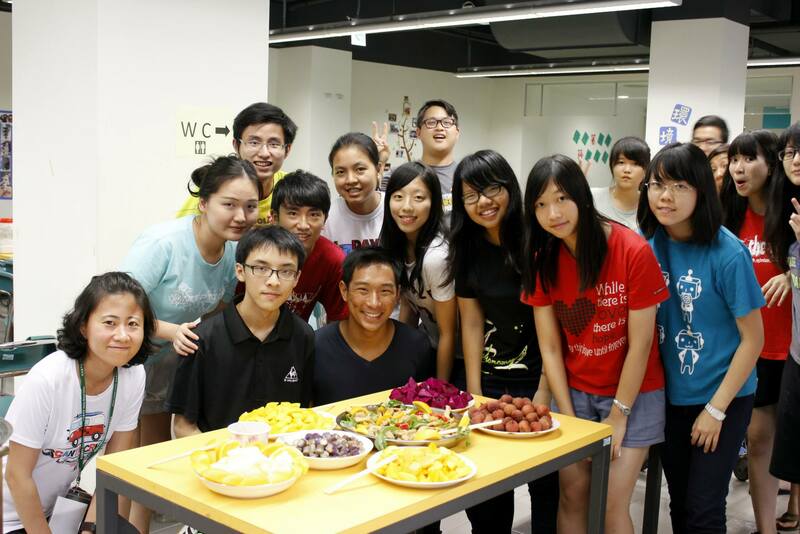 They also taught me so much about Taiwan’s different places and foods. I really enjoyed spending time with them. Every time I asked them questions about Taiwan, they would be happy to answer. They never seemed to get bored or tired of answering my questions. I love their humility and kindness. 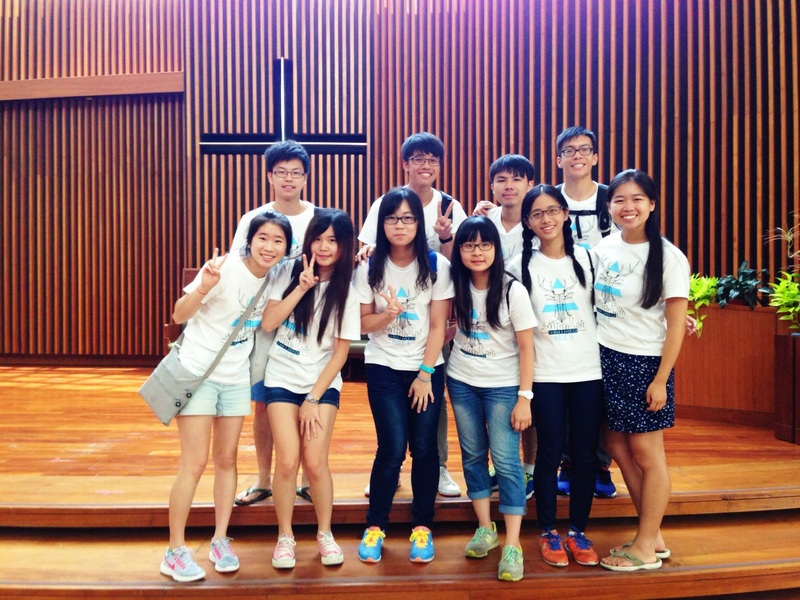 I felt like I have so much more Taiwanese friends now after only a week of camp. I am so glad that some of the students were curious to know about God. I love sharing stories about how God works in my life with them. I felt like some of them were touched and moved by God. Although we were there to serve them, sometimes I felt like they were the ones serving us. We were there to share the love of God with them, but they are also sharing their love and kindness with us. I have learned to grow a lot mentally and spiritually. God taught me many different things through people I met in this camp. This was a memorable and meaningful experience. If I have any chance in the future, I would definitely join the camp again. I am sad that I did not get to join the second week at the hospital, but I’m sure all of the TAs who went on the second week were enjoying their time and seeing how God works in our lives. In 2013, I heard about the Medical Students Cultural Exchange (MSCE) program for the first time. I was excited to participate as a teaching assistant because this program combined so many of the things that I care about: sharing God’s love in Taiwan and also being able to experience cultural exchange with other future healthcare workers. However, during and after the 2013 third annual camp, I felt a strong sense of disappointment. I was dissatisfied in the way that I had used the precious time that I had with the Mackay Medical College students. I felt that I could have done more, shared more, prayed more, and loved more. Unable to see the fruit of our week in Taiwan, I became a bit jaded towards short-term missions. So when the opportunity arose again to join the 5th annual MSCE this year, I avoided it. I was doubtful of the impact that could be made for the Kingdom of God in just one short week. However, as often is the case, God had a different plan. He was preparing to teach me a very important lesson. Prior to flying out to Taiwan this summer, I became interested in growing my own vegetable garden in an effort to reduce my carbon footprint. I went through the process of germinating seeds indoors and began to compost. Every day I would water my plants, and everyday, I was fascinated that the plants I saw growing before my eyes could be the result of one tiny seed, water, and dirt. My pea plants sprouted quickly and then wilted in the North Carolina summer heat. My squash plant drank up all the water I gave it and thrived. 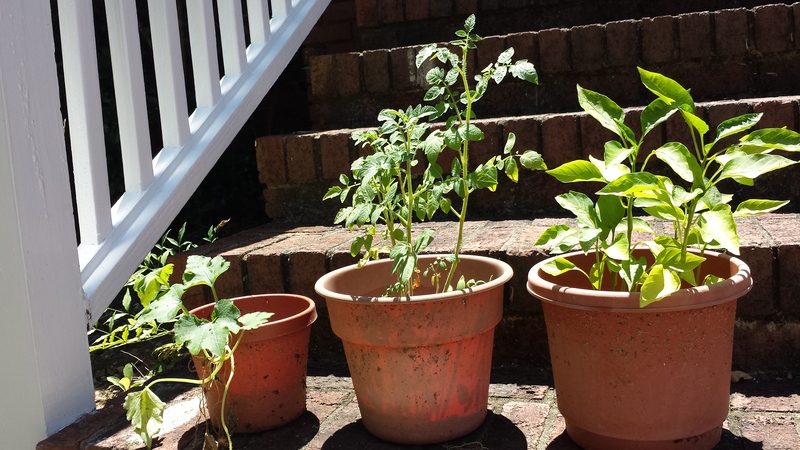 My tomato and pepper plants went through a rough patch but are now several feet tall! Though I treated all these plants the same, they each reacted so differently. It became clear to me that my own effort was not the only factor at play. There was another invisible force at work. During my gardening, God began softening my heart. He showed me that all I need to do is to be faithful in sowing and reaping; that ultimately it is He who does the growing. It is the same in our Christian walk. When we share the good news of Christ resurrected with others, our job is simply to do it faithfully. We must leave the rest to God. 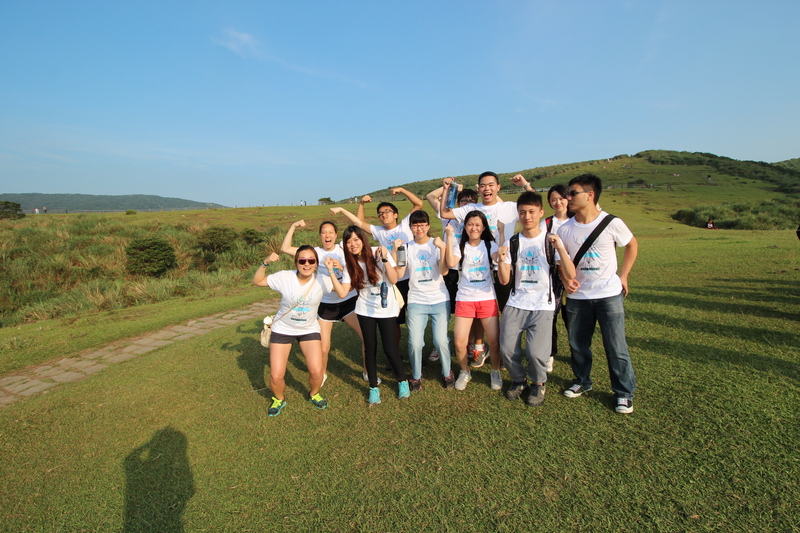 2015 MSCE group photo: Team Swaggy 6 Taiwanese! With this newly learned lesson in mind, I flew off to Taiwan to join MSCE 5. Instead of feeling inadequate this year, I relied on the knowledge that the whole week and all the interactions with the students were in God’s hands. I believed that God was doing a great work in the hearts of the students, invisible to our human eyes. So for me, the week at MSCE 5 was filled with joy in spending time with the Mackay students as well as an unhindered sense of being used as a vessel for the good news. Though I personally (again) was not able to see the full fruit of this year’s MSCE, I now trust in God’s good plan for each of the students and am thankful to have a fuller picture of my Father in heaven. I am confident that in His time, God will produce from the sowing done this summer. I am excited about the harvest to come in the lives of the Taiwanese students—as well as in my little garden! MSCE has been a wonderful experience to me even though it was starkly different from the program I had envisioned when I signed up. The students were much older than what I had imagined. I was shocked when I realized that several of them were older than me! The students also spoke English fluently, which was both a boon and a bane. It was a huge relief that I did not have to rely on my broken Mandarin to converse with them, but it also meant that the language activities that I helped lead had to be revamped. Thankfully, this turned out to be a rather simple task and the language activity was a hit. The program also broadened my horizons more than I had anticipated as I was able to learn about and even experience Taiwanese culture from the adorable students attending the camp. I saw a myriad of presentations regarding Taiwanese history and the different forms of Taiwanese entertainment, from Folk Opera to Toys. Through the students, I was also able to hear more about how healthcare and healthcare education in Taiwan differed from that in the States. 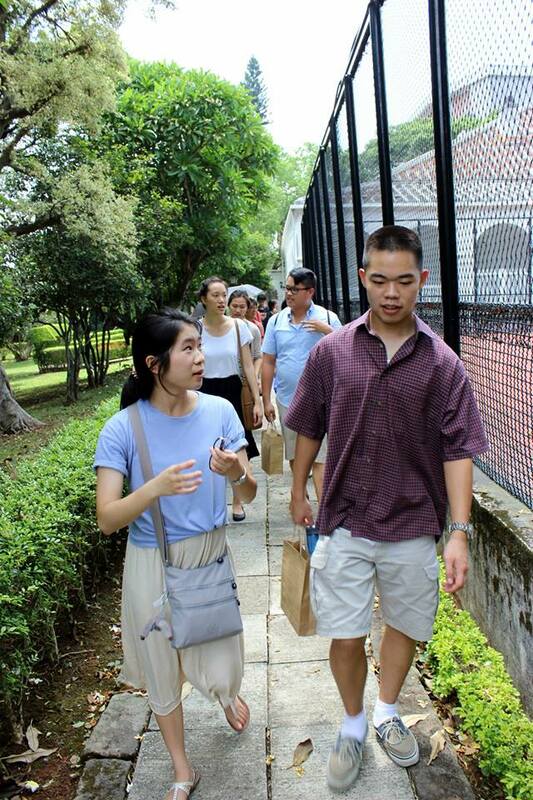 Sharing about our American culture was yet another interesting experience because I actually had the opportunity to try some activities for the very first time, such as two-step. 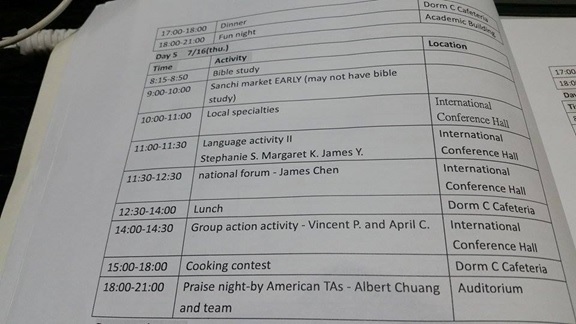 I was able to connect to the Taiwanese students at a personal level both from interactions during these camp activities and through late night talks ranging from crushes to religious world views. I know for a fact that what I received during my time at MSCE was way more than what I had to offer. Having been drained of all my energies after the MSCE English Summer Camp, I was not at all excited to serve as an intern at Chiayi Christian Hospital. However, this quickly changed the moment we entered Chiayi Christian Hospital. This first day, we learned about the history of the hospital and how the hospital is a manifestation of its founders’ endurance and a remarkable testament to God’s faithfulness. Also, during the middle of our second week in Taiwan, some of the students that went to National Defense Medical Center came to visit us. It was very touching to see them spend what little time they had left of summer with us and even go out of their way to visit us. It is also proof that the connections made at the camp are long-lasting and I sincerely hope it will continue far in the future. Not only did I get to know some of the Taiwanese students better, but also I got to know many of the TAs on a more personal level. Even after coming back to the States, I still talk to many of them over line or Facebook messenger. Throughout the rest of the week, I was constantly amazed by the work God has done in Taiwan, through physicians such as Dr. Wang and Dr. Ditmanson, as well as what he is doing today through the lives of the staff at Chiayi Christian Hospital. In fact, my favorite part of the trip was going to Dr. Wang’s old clinic, where we learned about his compassion for patients with black-foot disease. His love for the patients stemmed from his Christian faith and reached the local community. My experience learning about the Christian missionaries in Taiwan and faculty in Chiayi Christian hospital has reinvigorated me to pursue my goal to become a medical doctor for Christ. My faith was especially uplifted by the testimonies that were shared by some of the experienced doctors, including Dr. Paul Cheng who served as one of the faculty for MSCE, throughout the week. I hope that one day I will be able to emulate these amazing role models I have seen and make as deep an impression on others as they have made on me. MSCE was a wonderful week filled to the brim with moments of joy, learning, cultural exchange, and faith sharing. My favorite memories of MSCE were building friendships and planting seeds of the Gospel, and slowly watering and praying for the seed to someday sprout. I experienced the biggest obstacle at the beginning of MSCE, after our first day with our students. I felt like, other than speaking English, I did not have enough to give. All the students were so extremely considerate, kind, and knowledgeable, attentive to our every need, and putting so much thought and hard work into planning activities for us. I wanted to be able to do something tangible for my students, something where I could see visible results right away. But all I could do was to thank them profusely, and try to engage them in as much conversation, and slowly our friendships began to grow. On the third day, one of the girls in my group said to me during lunch, “Are all of you TA’s usually this talkative?” I choked on my rice, and hoped I hadn’t been boring her for three consecutive days. She continued, “I mean, all of you are so nice all the time. You make conversation and get us to share and talk all day, not just about our lecture discussions. Are you being nice because this is your mission this week?” I realized that our kindness, our authenticity, would allow us to do something for our students, in the form of opening a door for the Gospel. In addition to sharing our beliefs during our Morning Manna and Bible studies, the most crucial representations of the Good News would be in our everyday words and gestures, in the cafeteria, in the lecture hall, during our games; that living our faith and showing our love to the students would be the evidence of Christ’s love for them. As a team that night, we TA’s and faculty prayed for each other, that God would fill us with greater love, with His love for our students. On Praise Night, many of the students seemed curious, while many were not that engaged. Afterwards, we had a discussion time. Our group was huddled in a corner of the lecture hall, and after silence, and some initial prodding, the questions began flooding in. Some were comical. “Who is the person in white in the Lifehouse Everything skit? Is that her first boyfriend?” Some much more serious. “If someone killed your son, your only son, and God asked you to forgive them, how could you? How could God kill His own Son and forgive us, if we are the ones who killed Him?” Or, “If Christianity is right, then what about the validity of science and logic?” “Does that mean that Christians think all other beliefs are wrong and that everyone is going to Hell?” I looked around the circle, at each face, at the students who had become my friends. It was those moments, when they were all listening in that crowded circle that made me realize why God purposed for us all to be here, and all I could do was pray and pray that God would speak through us and give us words to make His truth known to the students. 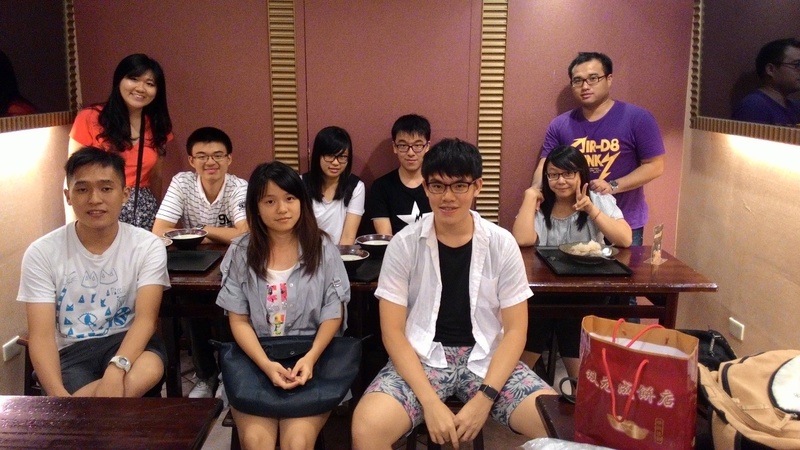 After MSCE ended, our team Fourmosa got together for a reunion dinner before everyone left to travel for the summer. I had no idea that my students would travel from Taoyuan, Keelung, all parts of Taipei, even taking the train from Chia-Yi just to make it to dinner. I was extremely touched by the warmth of their friendship. 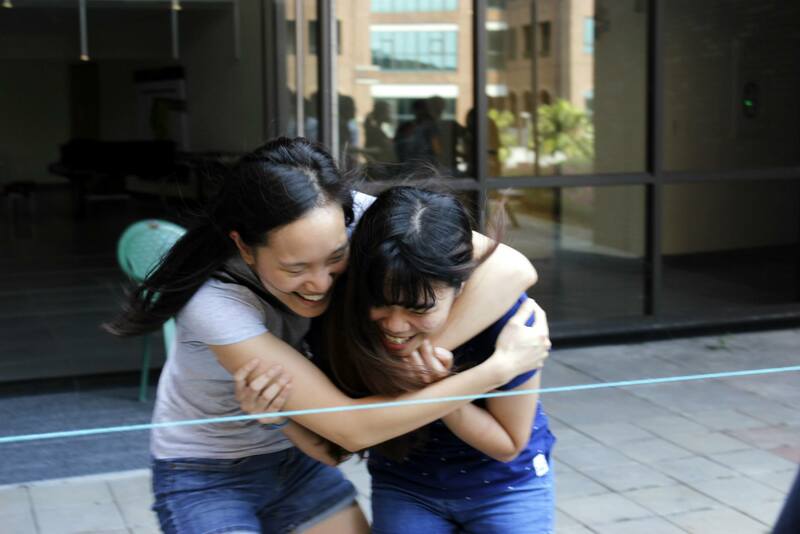 During MSCE, we forged the beginnings of many friendships and made many smiling memories. We may not have the opportunity to watch the seed we have planted grow immediately, but we can trust in the goodness and providence of our Lord, knowing it is our Loving Father who waters and watches over our students, and loves them with a love that is immeasurable in its length and height and depth. The students and faculty at the camp, both Taiwanese and American, are the people who have made this camp experience one that will continue to impact my life. Seeing everyone for the first time on the bus at the Hongshulin MRT station, I had a hard time distinguishing between students from Mackay, NDMC or the US. A feeling of anticipation overcame my mind as I glanced around at the many unfamiliar faces. I presumed that by the end of the week lasting friendships and memories would be made with the people at the camp. However, I did not quite expect the overwhelming warmth and love with which I and the other TAs were welcomed by the Taiwanese students. The ideas, energy and humor that the students brought to share with us melted away any apprehension and promoted an engaging environment that helped us connect our lives across cultures and beliefs. I especially cherished the opportunities that I had to talk individually or in small groups with other students and TAs. There were many late nights spent with my Taiwanese roommate discussing the intersection of science, religion and the Christian faith. I am thankful for the open mind and eagerness to learn that each student brought with them to camp. Over the course of the week, I was able to share my beliefs with some students while also having the chance to better understand their perspectives on the purpose of life. Praise God for providing the strength to make the most of every day and its full schedule despite the shortage of sleep. The time set aside each day for “morning manna” or personal testimony shadings by the American TAs were especially meaningful both for me and I believe the students as well. Although the exact details of some of the testimonies fade over time, I will always remember the way my heart was moved by the love of God in each person’s life. Over the course of the camp and as I prepared my own sharing, I sought to reflect on what God has done and will continue to do in my life. It was by God’s grace and provision that I was able to attend the 2015 Medical Students Cultural Exchange camp (MSCE) as an American TA. Initially, I had been planning to stay in Boston over the summer to do research and did not think that a trip to Asia was possible. 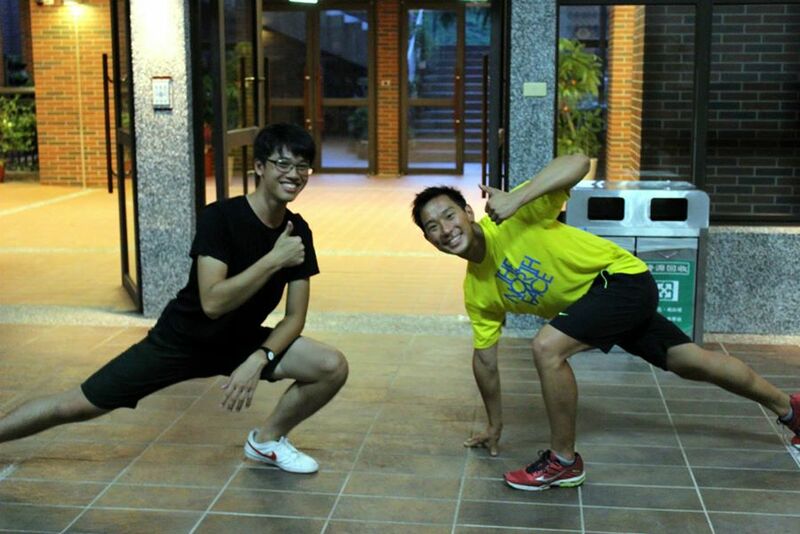 However, doors opened for me to not only find work in Taiwan but also to receive time off to join this camp. I believe that the doors that God opens for me are His way of guiding me along the path for my life that He has prepared. Through each past experience in my walk with God, I have been strengthened in my faith and grown in my understanding of His plan for my future. I have taken this MSCE camp as an encouragement that medicine is something that I have been called to do. I will miss each and every student that I have been blessed to meet through MSCE and look forward to meeting them again. In my heart I know that lives have been touched through the experiences that we have shared together here in Taiwan. I can’t see what the future will hold for each student but I trust that God will continue to watch over them. I had just spent a month and a half in Hong Kong with my grandparents. I was so used to speaking in Cantonese or “Chinglish,” that it was a relief when I was finally able to speak English full-time again during MSCE. And of course, I was excited to build relationships with the students and the TA team, as well as experience the Taiwanese culture and landscape. Each day was packed with so many activities that by nighttime, I just wanted to crawl into bed. But God never failed in providing me that last bit of energy I needed to spend time with my roommate, even late into the night. We enjoyed long conversations about the day’s activities such as morning manna, our thoughts on religion and life. I quickly discovered her love for Badtz-Maru and she, mine for Totoro. During several nights before sleeping, we’d end our day by lying on our beds, our legs up against the wall, hoping for better blood circulation. Through my interactions with the Taiwanese students, God reminded me that humans are all made in His image, bearing traits that reflect Him and His glory. In every one of these students, I experienced so much hospitality and warmth, a little reflection of God’s perfect love. This was especially apparent during our trip to the Shilin Market. The students in my group, the PainKillers, lead us through the market while treating us to the most authentic foods all the while making sure that we felt like family in their home country. This was only a small example of the wealth of thoughtfulness and kindness that I experienced from the students. During the week, we held Bible studies in the mornings before Morning Manna. It was encouraging to see so many students curious about the Word, especially when this was the first time for many to hear about Jesus. During Bible study, we discussed several of the miracles of Jesus. We’d start by reading the Bible passage aloud in a group, followed by discussion in smaller groups. Although I had learned these stories growing up, it was refreshing to come back to the basics, and also personally humbling to explain things that I thought I already knew. I had to trust God even more with my words and that God would produce growth in whatever seeds the TAs planted in the hearts of the students. During one particular morning after Bible study had ended, and everybody had gone to Morning Manna, I stayed behind with a student to explain that day’s miracle and the concept of sovereignty to her. I shared with her my experience with this characteristic of God. And as I did so, with just my voice in that room followed by her nods and large, inquisitive eyes, I realized just how much compassion I held for her, and that God was stirring in my heart a love for these Taiwanese students. I felt an overwhelming sense of God’s love pouring into her through our conversation, just as a filled cup pours into another. As it says in John 3:30 “He must increase, but I must decrease,” it was important for me to remember that it is not me that is working, but God who is. He deserves all the glory, honor and praise; it is not from myself, but from God that I draw my source of love from. Last Sunday with Team 2, the Painkillers! Many of the students explained to me that they had never experienced God, thus hearing the TA’s testimonies and seeing our faith lived out was something new and interesting to them. It is my hope and prayer that MSCE was a place for some of the students to experience God for the first time in His fullest, through the activities, interactions and relationships made between different cultures and people. Remembering all the silly jokes, tender memories, and heartfelt goodbyes, I miss the students dearly, but I have full trust in God that His plan will carry us through. Hopefully, we will all meet again in the future! Before going into the camp, my biggest prayer was to make this trip for God. As a human being, I tend to think about myself. I think about how I am doing, how I am feeling, and how I am growing or not. So this time, I wanted to make this mission to be God’s, and not mine, and to think less about myself. During the first few days, I actually struggled because I felt very inadequate. I wasn’t sure how God was using me. I was self-conscious about my intelligence and insecure about myself. I was defining myself through my relatively lower status, and defining others by their achievements. I had to continuously tell myself that Jesus loves me no matter what, and that my identity is in Christ. Even though I knew this, it was hard to feel that way. Then one night, as I was preparing for my testimony, I realized I was making this mission about myself. I was constantly thinking about what I can do, what I can prove to others, and how I was feeling. God spoke to me, “26 Brothers and sisters, think of what you were when you were called. Not many of you were wise by human standards; not many were influential; not many were of noble birth. 27 But God chose the foolish things of the world to shame the wise; God chose the weak things of the world to shame the strong. 28 God chose the lowly things of this world and the despised things—and the things that are not—to nullify the things that are, 29 so that no one may boast before him. 30 It is because of him that you are in Christ Jesus, who has become for us wisdom from God—that is, our righteousness, holiness and redemption. 31 Therefore, as it is written: “Let the one who boasts boast in the Lord.” (1 Corinthians 1:26-31). Since that night, instead of thinking about myself, I decided to depend on God. I am weak and God is strong. This allowed me to truly depend on God, and ask Him to help me to be bold in Jesus. I couldn’t do anything on my own. It is only God who gives hope, the truth, and wisdom. I started to see how God was working in each student’s life rather than focusing on what I lack. No matter how I felt, God’s work was being done, and God was teaching me to be bold in Christ! Instead of being bold of who I am, I started to trust in God and be bold in Jesus. During the OPTIONAL Bible study, we studied Jesus’ miracles. Many Taiwanese students have never read the Bible, or heard the gospel before, and they were curious about who Jesus was. The Bible study was at 8am, and many students showed up because they wanted to get to know Jesus. Some students couldn’t stop reading the Bible because they were curious about what was going to happen after the passage that we read. It surprised me that students were willing to sacrifice their sleep despite of tiredness to come out to the Bible study. It didn’t hit me until than, that less than 5% Christians in Taiwan is a very low number, and many people are seeking hope, purpose, and the savior. They were desperate for something more, but there was not enough materials, resources for them to get to know who Jesus was. “The harvest is plentiful, but workers are few” (Matthew 9:37). know the students more and I was able to relate with them well. It also helped me that I grew up in Korea, and Taiwan and Korea have similar cultures. During breakfast time, American TA’s shared their testimony (Morning Manna). Through this opportunity, students got to know us at a personal level. This created an environment for us to have intimate conversations with each other. American TAs were able to share more about their faith, and why we chose to follow Jesus, and Taiwanese students were able to ask questions about religion and faith. Although there weren’t any students who were willing to commit to Jesus yet, I trust in the LORD that we planted the seeds, and that God will use our relationships that we built to give people hope and the truth. 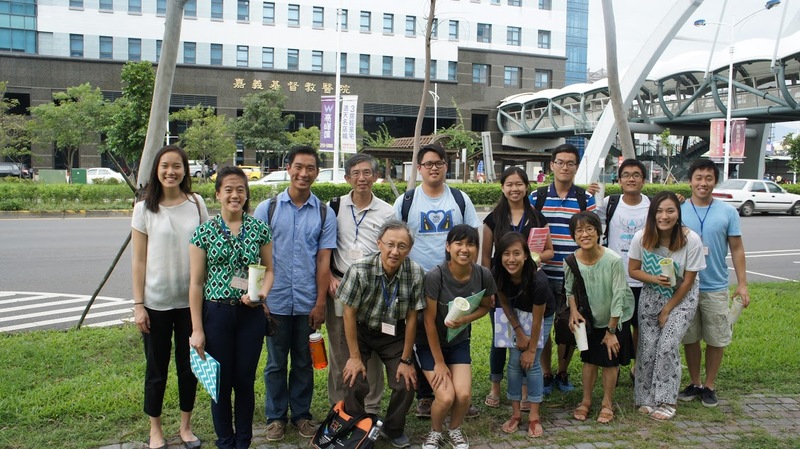 After a week of MSCE camp, a few of us American TA’s and faculties went to Chia-yi city (south of Taipei) for a week-2 mission trip. our teammates and always had to ask someone to translate for me. I was a little frustrated at myself because I couldn’t freely have conversations with the patients. All I could say was, “Jesus loves you” in Chinese. I think during these times, God was teaching me that it is not me who has the power to change people, but it is God. I kept trying to prove to myself that I know enough, and that I know how to share the gospel. But the truth is, I am just a servant of God, and I don’t have the power to do anything without Jesus. I can’t change people’s heart or could I ever know “enough” about who God is. Even if I was able to speak the language, all I could do was pray for them and listen to them. This was one of God’s ways of showing me how BIG he is and how small I am. During the week, we visited a senior center, a day center for mentally and physically challenged children, a work place for mentally challenged people, and a clinic and a church for aboriginal people in Alishan. All of these places were branches of CYCH. They fund (along with the government) and provide care for each center, and CYCH tries its best to spread the gospel to people who enter any of its facilities. For example, it was hard for aboriginal people to find clinics because they live in the mountain. So CYCH built a clinic up in the mountain, so that their workers could reach people who live there. Now, they provide public health and health education, and doctors from CYCH rotate to the mountain for patient care. I was so thankful and blessed to witness how God could use a hospital to spread the truth. At the end of the week, we got to have a fellowship dinner with CYCH Christian doctors. Although CYCH is a Christian hospital, only 13% of doctors are Christians, and most patients aren’t Christians. When Dr. Ditmanson first came to Taiwan, he realized that people won’t go to church, but they do go to hospitals. That is a reason why he decided to build a hospital where he could show God’s care and love. At the fellowship dinner, doctors shared how they apply their faith in their work, and how they have carried Dr. Ditmanson’s vision until now and continue to provide health care and spiritual care for patients and for other doctors. One of the doctors, Dr. Solomon Chen, talked about treating vs. healing. “Doctors treat, Jesus heals”. He gave us examples of how he treated people, but it was God who healed his patients. He prays for his patients and care for them. He also shared that sometimes, there are limits of what doctors can do. But with God, there is no limit. He shared stories of how he prayed for a patient and the patient was healed! He has witnessed God’s miracles at his work place, and he continues to serve God in this way. CYCH also partners with other countries for overseas missions. Doctors shared their testimonies of going overseas, and what doctors could do to treat people who are in need. Dr. Solomon also emphasized what we need as professionals. He said it requires both passion and skills. He said, you need both passion and skills to maximize your performance. Without passion, skill itself will not glorify God, eventually limiting the ability to bring your greatest performance. Without skills, passion will only provide hearts for people, but no skills to treat people. Before I went on this trip, I always questioned why people wanted to become doctors and why I wanted to go into healthcare field. Money? Status? Comfort? I am not going to lie, all three of them sound very desirable, and I am sure that is partially the reason why I wanted to go into the healthcare field. When I was choosing my major, I wanted the best of the both worlds: serving God, but also having money, status, and comfort. But God clearly teaches us that we can’t serve more than one idol. That means giving up money, status, and comfort. Does that mean I need to give up my studies? (Maybe for some people!) I struggled with these questions a lot. What do I want to do, and why? What does God want to do with me? I want to become a hospital administrator, but why? How is God going to use me in this field? I was never sure, but I simply prayed that I would stay humble, and learn to give up wealth and comfort for God. It was during this trip that God really showed me how God could potentially use me. All the doctors I met, hearing the story about Dr. Ditmanson, and seeing the facilities they provide inspired me to see a bigger picture. Yes, the doctors I’ve met are wealthy and potentially get respect for their status, but they do not care about that. They go out of their way to find what they can do to glorify God. They seek people in need, instead of sick people looking for doctors. They go out of their ways to provide facilities that are useful for people. All the doctors I’ve met are able to do these things because they love God, they are passionate for His people, and also because they have the skills. I am not sure what I will be, or where I will be in the next few years. But I pray that I will become a hospital administrator who loves God, purposefully look for people in need, and offer Christ-centered facilities to my neighbors. It was a very blessed time talking to these doctors, visiting a hospital that was once called a failure, and seeing how big it grew, and witnessing how God is using doctors, nurses, and the facilities to grow His kingdom. At the end of the week, my heart was filled with so much joy for God. He gave me a vision and a direction of how God could use a hospital administrator. I am praying that I will become an obedient daughter, with both passion and skills! I also pray for CYCH and its facilities. The daycare center for developmentally challenged children doesn’t have enough money to have AC in their rooms. (And Taiwan is SO SO SO HOT!! The moment you walk out, you are sweating from head to toe…. No joke….) They cannot use some of their rooms because they don’t have AC, and they can’t serve children in the heat. We are still fundraising so that we can donate AC to their child center. These are two students who stayed until the end of the week! While we were at Chia-yi, I was actually pretty sad because I missed the MSCE students so much… I was telling my teammate one night how much I missed them, and how I wish I could visit Taiwan again so that I could see them again. I guess I was sad because I thought I would never see them again… BUT THEN!!! 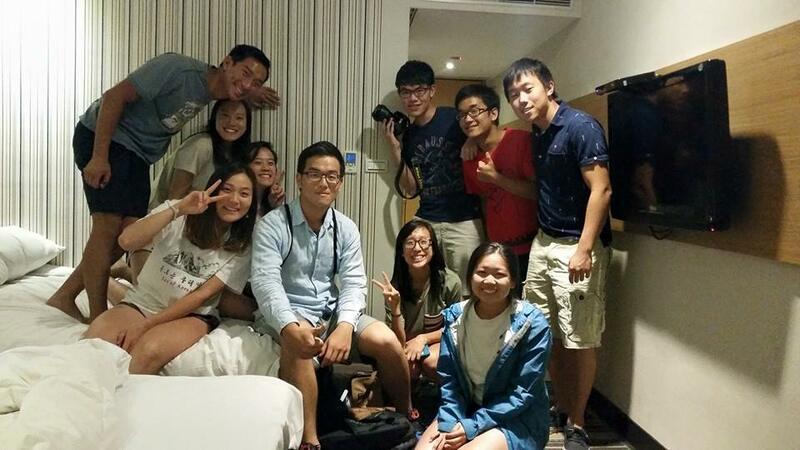 Three of students came to Chia-yi by taking a 3 hour train ride to surprise us!!!! We were at our rooms working, and someone knocked our door, and there were the three students!!! I screamed!!!!!!!! I was SO SO SO!!! happy to see them again. They stayed the rest of the week and joined our program. I pray that God will continue to soften hearts, that they will continue to ask questions, and that they will find faith in God. It was such an amazing experience to visit Chiayi, and most of all, build relationships with the students, and witness God softening people’s hearts. I really want to come back next year to grow together with many students, and plant more seeds of truth! God has been so faithful. MSCE was a wonderful experience of being able to learn more about Taiwanese culture, experience God’s work in Taiwan, and make new friends with local Taiwanese medical students as well as fellow Americans interested in combining both their passions for their faith and medicine. The week was a cultural exchange camp for local Taiwanese students primarily from Mackay Medical College and my role at camp was to be one of the American TAs responsible for sharing about different aspects of American culture through presentations and interactive activities. I also helped lead Bible studies and other activities that the TAs planned. 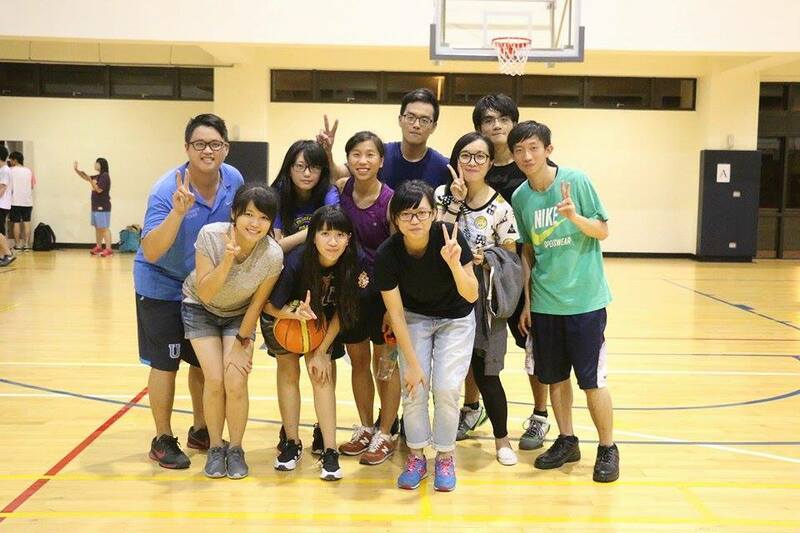 Furthermore, the TAs participated in games, cooking contests, and other exciting activities organized by the Taiwanese students. We also got to learn about the history of Mackay Medical College and about missionary Dr. George Mackay’s work in Taiwan, including how he opened a clinic for the Aboriginal people, started a girl’s school (in a time when girls typically didn’t go to school), etc. People listen when they see the need for change in their lives. My time at MSCE reminded me of the importance of really caring for people, spending time with them to get to know about their lives, stories, and struggles, and not just seeing them as just checkboxes for conversion. I already knew this about interacting with and sharing the gospel with others but I was reminded when I noticed that the students who shared the most about themselves and with whom I had the most opportunities to share my faith with were those that I interacted with most and spent the most time with during camp. As I left camp, I saw a great need for Jesus among the students but as one of my fellow TAs pointed out, people won’t accept Christ until they see the need in their lives. But how do you help them see that need? Of course, at the end of the day, it is all up to God, but helping the students see their need for Christ requires us to actually spend time getting to know them, their lives, their culture, and the needs in their lives. I am very excited to be returning to Taiwan in January to learn more about Taiwanese culture and hopefully meet up with some of the students that I met at MSCE. In the meantime, may God continue to work in their hearts to show them why they need Him in their lives. Be ready to share my faith at all times. I really believe God was working on the hearts of the students at camp. A few times I had students suddenly ask me, “Do you know why I’m not a Christian?” or “Do you know why I don’t believe in the Bible?” Each time I was asked these questions, I was a bit surprised. God literally just handed me the opportunity to share my faith and the gospel with that given individual. I believe God was really right beside me each time and giving me the words to speak, but each opportunity reminded me the importance of always being ready to share why I believe in Jesus. I am thankful that God provided opportunities for me to share my faith in order to help not only the given student learn about Christianity but also to help me grow in my own faith. Sometimes students apologized for asking me questions about my faith, the Bible, Jesus, or other Christian-related ideas. But I always told them it was fine. I told them that getting to know God is kind of like if some mystery man, dressed in a nice suit, showed up at their school and said he was the new principal. Who would believe the man if he said he was the principal? Some would believe him at his word. Some would trust him because he dressed like a principal. Others, however, would need more proof, whether a name card, verification from the vice principal or the school’s teachers, etc. I told them to continue asking questions because I really do believe that Jesus is God and I would be more than happy to share what I know with them or find the answers if I don’t have them. I was and am excited because I believe that as the s tudents continue to search, they will someday find the truth and when that happens, they will have an amazing testimony to share with others. As I leave, I pray that the relationships started during MSCE will continue and grow. So many of the students are hungry to learn more about God and His Word, but they don’t yet believe that only God can satisfy their hearts and lives. May God continue to work in the hearts of all the students and provide them with people and experiences that will draw these students closer to Him. Following MSCE, I spent a week interning at Chiayi Christian Hospital and had the opportunity to learn more about how to integrate my faith with my future career in medicine. One doctor shared about his conviction that while doctors treat patients, only God truly heals; it is God who works and we need to rely on God for true healing. It was also very interesting how the director shared with us that the hospital really focuses on evangelism because it’s a way of reaching so many people; many people may never walk into a church in their life but most will walk into Chiayi Christian Hospital at least 1-2 times a year so sharing the gospel at the hospital is a wonderful way of at least exposing people to the good news. Furthermore, through listening to presentations and interacting with hospital staff, I learned about how the hospital commits itself to the Christian belief of loving your neighbor as yourself by incorporating many different medical services to provide holistic medical care. 1962. This hospital only had 30 beds and for at least 11 years, the hospital was considered to be a failure as Dr. Ditmanson asked for more donations every year since the hospital kept losing money. But Dr. Ditmanson persevered and continued to commit himself to his hospital and eventually the hospital began to grow, eventually becoming the current, well-recognized 1000-bed hospital that is constantly expanding in the Chiayi area. Hearing this story and seeing how Chiayi Christian Hospital is so large and now positively impacts so many lives gives me encouragement to follow after God wholeheartedly despite challenges, obstacles, and discouragement. I realize how God can work powerfully and that the biggest fruits of a person’s labor may sometimes only be evident later in the future. We were left with John 12:24-25 after the presentation on Dr. Ditmanson’s work and legacy. During my internship I also had the chance to spend time at some of the hospital’s other work sites, including its rural clinic for Aboriginal people, senior center, and daycare center for developmentally challenged children. Visiting these sites exposed me to many different types of medicine and further revealed to me my passion for working with people, especially children and youth. While at the daycare center, I felt my heart melt inside as I worked with a class of physically disabled children. The center cares for children ages 1-6 years old with physical and/or mental disabilities and has been around for 12 years. Quick story… I was feeding a 2-year-old boy his porridge and noticed that one of the 6-year-old boys kept looking at me after he had finished his food. The 6-year-old boy used a walker because he had weak legs but was the cutest boy ever, with short black hair and wearing a camo tank top that day. The older boy would just look at me as I kept feeding the younger one. I was curious why he kept looking at me. I found out when I finished feeding the younger boy. The 6-year-old boy, with a large smile, asked me, “哥哥我們可以去看書嗎？(Big brother, can we go read a book? )” My heart just melted as I was touched that this boy wanted to spend time reading with me, a stranger he just met earlier that day. Because he had weak legs and needed a walker to get to the stack of books on the other side of the room, I picked him up to go pick a book. We spent about 10 minutes reading the book together until his parents came to pick him up. I loved the kids I worked with that day and wanted to spend more time with them. I learned that the daycare center’s greatest current needs are for a car (so that they can reach more children who either live further away or whose parents don’t have the time to drop them off at the daycare center) and for AC units in some of its rooms (without AC, it gets really hot and humid in these rooms and makes it difficult for the children to learn). Each AC unit costs about $1300, and as I think about how God has blessed me and my family financially, I feel a burden to fundraise money to help this daycare center get at least one new AC unit. I will continue praying for whether and how to fundraise for the daycare center’s needs. How are you using your job? If you have been blessed to be able to choose between different career paths, why have you picked your given career? Is it a way to serve others and glorify God, or is it just a way to earn money? In your job, the combination of your skills and passion will lead to certain levels of performance and excellence. As you increase either your skills or passion, the performance and excellence increases. But performance and excellence are only maximized when both the skills and passion are maximized. We were posed with two questions. What do you consider to be the highest form of performance and excellence? As you seek ways to glorify God, how do your God-given passions and skills line up as you consider future career paths? Continually seek ways to serve others and go to those places that need help. I know for many of the American TAs, including myself, the MSCE and Chiayi trip have caused us to deeply consider how God is calling us to balance our love for medicine, missions, and Taiwan. One of our team leaders told us to think about how there is a need for Christian, Asian healthcare workers in the US and to consider how God may be leading us as we consider our future careers and lives. May God lead me and my fellow American TAs in our search for God’s will in our lives in regards to balancing our skills and passions for medicine, Taiwan, and ministry/missions. As I am composing this week’s prayer letter, I am thinking about one devotion that I read back in February this year. It made a great impression to me because the devotion started with a Chinese proverb “pulling up a crop to help it grow” (拔苗助長). In 2 Timothy, Paul also compares being a minister of the gospel to that of a farmer. Like farming, making disciples can be continuous, hard labor. We plow, we sow, we wait, and we pray. We often desire to see the fruits of our labor quickly, but growth takes time. As the Chinese proverb taught us, any effort to hurry the growing process won’t be helpful. Therefore, as we are entering our mission field, as we labor faithfully, we wait patiently on the Lord, who makes things grow. It has been such an amazing experience getting to see how God is working in Taiwan and I look forward to returning to Taiwan in the future to see more of God’s work there. Thank you for reading!